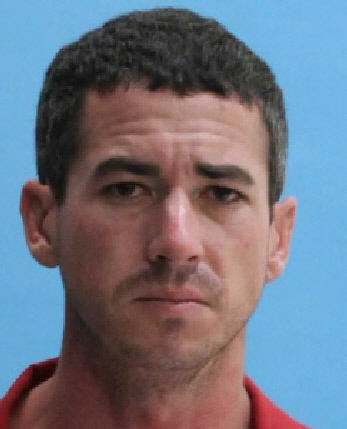 The DeSoto County Sheriff's Office reported the arrest of Jesse Martin Fox, 31, on assault and battery charges. According to the arrest report, on March 27 a woman who lives in the same house as Fox went to cook dinner. When she opened the oven door, bugs flew out because rotten food had been left there. The woman became upset because she said Fox doesn't clean up after himself. Fox reportedly became angry at her accusation and hit her in the head with an open cabinet door. When she tried to get away from him, she said he threw a recliner at her. Later, when she tried again to cook, she said he came up behind her, grabbed a knife and threatened her, saying, "Things are about to get really bad for you." When deputies responded, they tried to read Fox his Miranda rights but he ran in a bathroom and shut the door. He then went outside and took off into some nearby woods. DCSO called the DeSoto Correctional Institution's K-9 team to help find him, but he gave himself up before the dog was deployed. Fox was jailed on charges of aggravated assault with a deadly weapon without intent to kill, felony battery and resisting or obstructing an officer without violence. He is being held on $11,000 bond. Arraignment is docketed for May 28.